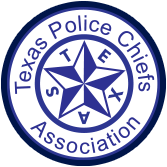 To promote and enhance the professional development of all executive and management personnel within duly constituted law enforcement agencies in the state of Texas. To encourage close cooperation and partnerships with all law enforcement agencies and the citizens they serve. To promote and maintain the highest standards of the police profession through selection and training of law enforcement officers and police personnel. To maintain a clear VISION of our PURPOSE, VALUES and IMAGE.